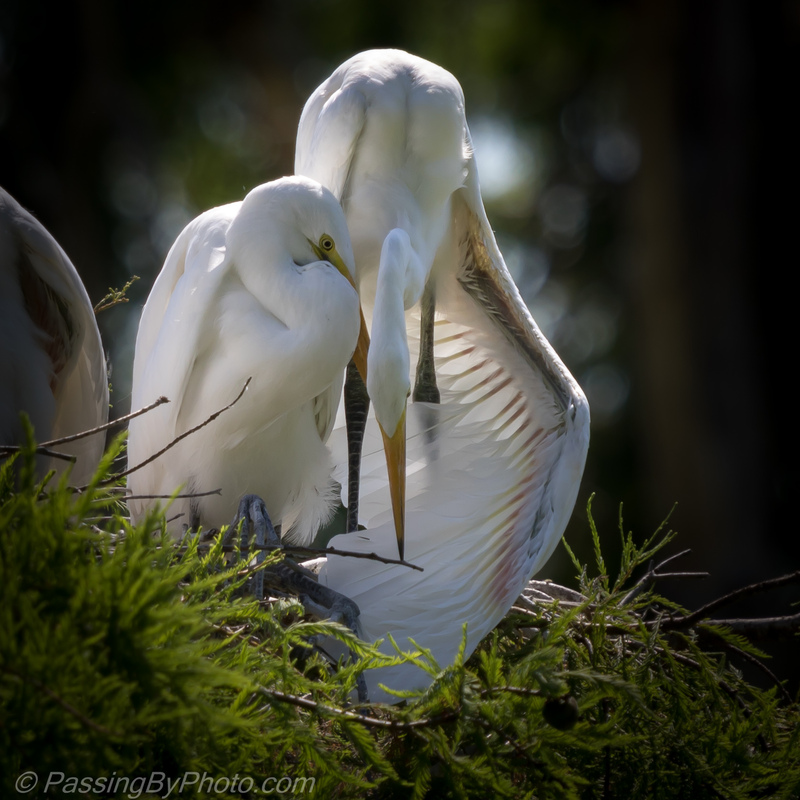 The Great Egret Chick was getting some relief from the sun on this hot June day. There are three chicks in this nest. Why did this one get protection and the others didn’t or was this for some other purpose? More bird behaviors that I can’t explain. in agreement, the lighting and composition are just beautiful.